Why is PEMF therapy so effective for humans and pets? PEMF therapy has been available since the invention of electricity, but veterinarians were the first to use PEMF therapy in North America. The ability to heal broken legs in racehorses was astounding, and in 1979 the use of PEMF therapy was approved for the treatment of nonunion fractures, failed fusions, and congenital pseudarthrosis in humans. The electromagnetic fields activate Nitric Oxide, a vital molecule that promotes healing in both humans and pets. This therapy will aid in boosting cellular metabolism, as well as encouraging oxygenation of the tissues, nerves, and muscles for your pet, just as it does for you. Your pet will begin to look and feel better, and skin problems or allergies may also improve. 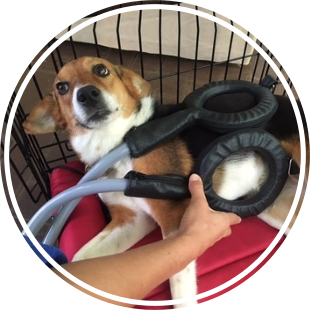 What pet ailments have veterinarians successfully treated with PEMF therapy? Can PEMF Therapy avoid potentially harmful treatments? Many studies with animals suggest that the use of steroids may be minimized as the result of using PEMF therapy daily for chronic conditions and troublesome injuries. Your entire family can now benefit from a pain-free therapy reducing the risk of injury, while possibly avoiding surgery and expensive medications. (This may also eliminate the need for the use of steroids. Studies have shown that these steroid therapies can be extremely harmful to cats in most cases). PEMF therapy can aid in reducing pain and stiffness making everyday activities like climbing stairs and getting out of bed easier. Consider reaching for this natural and painless alternative, rather than using medications with potentially harmful side effects for your pet. The main difference between people and animals receiving Energy Healing sessions is just this: Animals are wide open and receptive to allow in the most productive session possible. Animals naturally understand and respond to this non-invasive healing modality for what it is and what it does for them…not because they anticipate any benefits or because they feel safe and assured by the therapist. The response from the animals is the proof that Energy Healing works. Animals can and do suffer from physical problems just like we do, and living a human-created lifestyle can trigger many conditions, including emotional problems. Animals are very sensitive to human moods and to atmospheres in the home environment. This complex set of energies can be very unsettling for them and will affect their own emotional and mental state. Animals can suffer from stress just as much as humans do. In the wild some stress is necessary to enable the animal to learn how to survive, defend itself, find a mate or seek food. With captive or domesticated animals, stress due to a restricted or unnatural lifestyle, boredom, overcrowding, emotional changes, lack of exercise and stimulation, incorrect diet, over-breeding, grief, fear of humans or abuse leads to a very unhealthy and unhappy animal. Your animal companion may have suffered from some of these conditions before you got it, so it is good to give energy healing to help it let go of all the negative memories and to strengthen the immune system. 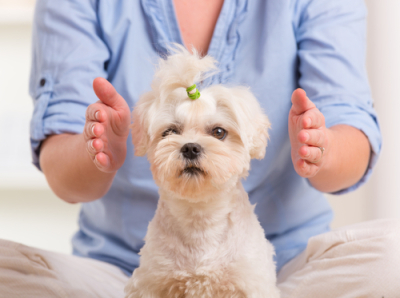 Energy Therapy doesn’t just target specific areas but the whole being of the animal. Treating the whole body at a deep level has a positive rollover effect everywhere and individual problems may resolve themselve...like negative behaviors and physical manifestations for example. The benefits are truly endless! How Many Energy Sessions will Your Animal Companion Need? The number of treatments needed will depend on the condition(s) being treated, the age of the animal, and its response to the energy session. Chronic conditions will usually need more sessions than acute ones. 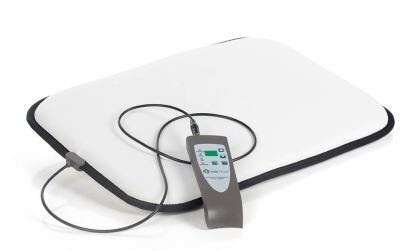 A mixture of PEMF and Energy Therapy can be combined. If the problem is strictly emotion-based then maybe just one or two treatments, provided there are no other considerations. For therapeutic healing when the animal is healthy, a session every three to four months is normally adequate. We can discuss a customized schedule that is best suitable for you and your animal companion's needs. 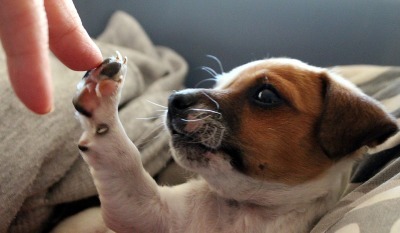 What is Hands on Healing for Animals & How Does It Work? The benefits of healing for humans is well documented with hundreds of studies having been done into the benefits of healing and how it can work. Of course the sceptics may say that there is a placebo effect, but that flies right out of the window with animals. Hands on healing works very well. In many cases dramatically. There is no placebo effect with animals. They do not have a faith, are not aware that the therapist is a healer nor aware of the benefits healing can give. When healing is given to them they take it readily and are ready to move on if possible and gain wellbeing improvements. Healing offers an energy blueprint and we can all do this, therefore it is something that you can practise with your own pets. Healing that you give aims to help the animal rebalance and take over the recovery process. Hands on healing can help your pet on 3 levels, emotionally, mentally and physically, and to be healthy your pets, like us, need to be in balance on all of these levels. Healing can also be given as first aid too. Healing, whether through Energy Healing therapies or through PEMF, can help all conditions and any animal in need. It can also be used preventatively. The energy field will be out of balance before an illness or disease presents the symptoms, thus these approaches take a proactive approach to preventative healing and rebalancing, or it can be used as a post onset issue treatment. We all know that proactive and preventative is the best approach. 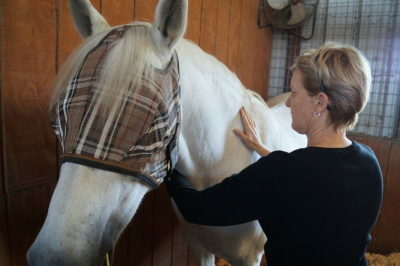 Pranic Animal Healing is a highly evolved and tested system of energy medicine that utilizes prana to balance, harmonize and transform the body's energy processes. Prana is a Sanskrit word that means life-force. This invisible bio-energy or vital energy keeps the body alive and maintains a state of good health. In acupuncture, the Chinese refer to this subtle energy as Chi. It is also called Ruach or the Breath of Life in Hebrew. Pranic Healing is a simple yet powerful & effective system of energy healing. It is based on the fundamental principles that the body is a self-repairing living entity that possesses the ability to heal itself and that the healing process is accelerated by increasing this life force that is readily available from the sun, air and ground to address physical & emotional imbalances. Energy Medicine is a gift of empowerment for animals and the people who love and care for them. You will be able to enhance your animal friends daily well being, as well as, assist in minor health challenges. If an injury or health challenge requires a professional procedure energy medicine can compliment and expand the healing potential. It can reduce the recovery time and revitalize their energy and stamina. Energy Medicine does not replace professional care. Always consult your veterinarian for serious health challenges or even if you are in question. I am thankful I have a vet whom I trust and respect. I am also a believer in health insurance for animals, especially if you have a modest budget. It can mean the difference between life and death or serious debt. I am proactive and mindful about the health care of my animals while respecting their abilities to heal themselves, when to use Energy Medicine and when to call my vet. Energy Medicine is a genuine gift when your animals are in their senior years. When they vet tells you there nothing more that can be done, this is where Energy Medicine can be of great value. You can help to revitalize their energy, reduce pain and inflammation and help them be more comfortable with the challenges that come with the aging process. Energy Medicine truly empowers you to be proactive in the health and well being of your animal companion. You will be able to respond to most minor health challenges in a natural and skillful way. The TAOSHEBA Techniqueenables you to access the Natural Power of Healing Energy. Each technique has photographic illustrations that explain the techniques step by step. They are easy to learn and with some practice can become second nature. Many animals give us unconditional love, perhaps dogs more so than cats. They bring a loving devotion and joy that is a precious gift. Energy Medicine for Animals expands our ability to give the same. With Energy Medicine we can help our animal companions to heal, to be more comfortable, to relax, to feel safe and loved in their time of need, no matter what. The healing touchcombined with a loving heart inspires unconditional love. Natural Healing gives us the ability to inspire healing in our animal companions without invasive procedures or chemically derived drugs. It is as important for animals as it is for people to limit the intake of chemically drugs. With organic food, herbs, acupuncture, massage, energy medicine in all it's many forms, we can protect their immune systems and enhance their over all well being knowing we are giving them natural remedies that don't compromise their immune systems and overall well being. The Healing Touch can reduce and even eliminate pain from accidents and medical procedures. Energy work is non-invasive, yet it is so effective. The results are amazing. You can work directly on the body with the lightest of touch or work with hands above the body. They are equally effective at reducing and releasing pain from sprains, accidents, arthritis and medical procedures. You can use the hands above technique to draw out inflammation. You do not need to touch the animals body. You will be able to feel the inflammation recede in minutes. Your animals companion can feel it too!Once they feel the benefits, they will remember and may even seek your help. Master Mink likes his daily energy sessions, whereas, Tao would only seek me out when in need. Ebony just loves to be held and petted and Sheba valued the healing touch, not just for healing purposes, but for the deeper bond that grows between you when you share in both their joy and their challenges. No matter if you work with hands on or hands above the body, you and your animal friend will feel the muscles relaxing. It can happen in minutes. As the muscles relax you will feel your animal companion letting go of the tenseness and the discomfort. They will almost always let go with a sigh. Most will come to look forward to their energy release sessions just for the relaxation component and the healing touch which is all about love. The cause of most illnesses, aches and pains is stagnated energy. Stagnated energy means energy that is blocked which can translate into a physical challenge. Energy work is invaluable for moving stagnated energy and inspiring the healing process. When you work hands on both you and your animal companion can feel the benefits. This is truly one of the most valuable gifts of Energy Healing. It can decrease the time it takes to heal from injuries and medical procedures dramatically. It is challenging for both humans and animals to have to restrict their movements for short or long periods of time. Once you begin using energy work with your animal friend to help them heal, they understand the benefits and will welcome the healing touch, knowing it's capacity to expedite the healing process. No matter what the cause, with energy work you can relax your animal companion in minutes. Most often they will appreciate it so much, they will want more. The Laying on of Hands is so gentle yet so powerful, it can work wonders. It works on people and animals. When you practice the Laying On Of Hands, you enjoy the benefit as well. The universal healing energy travels through your crown, down through your arms and releases through the palms of your hands. Energy Medicine compliments and expands the healing potential of professional care in multiple ways both before and after a procedure. 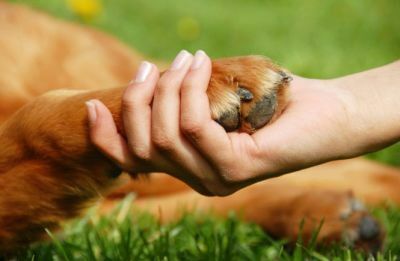 Hands on energy work is highly effective in destressing your animal companion before and after the procedure, minimizing anxiety, discomfort and pain. Energy work can also reduce the shock from an invasive procedure and help your companion feel more comfortable while accelerating the healing process. 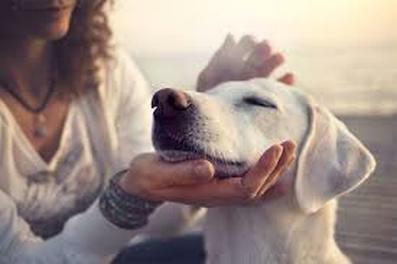 One of the most precious benefits of practicing Energy Medicine with your animal companion is the depth of the bond and trust that develops with your animal companion. The bond deepens each time as does the love. It is one of the most treasured memories I have now that my Akita's have transitioned. I know I did all that I could do for them, and that is comforting. You will not have to stand by and watch them suffer as the aging process claims their health and vitality. You can share the healing touch, love and compassion while minimizing their discomfort and pain. In many casesenergy work can help them regenerate their energy so they can continue their walks. When I reset Tao and Sheba's Chakra's they were able to take their daily walks even though arthritis had claimed their legs. One of the greatest gifts of Energy Medicine, both energy work and natural medicine, is the day to day ability to help create a state of health and well being throughout their lives. All the benefits mentioned above combine to contribute to your ability to share unconditional love with your animal companions and the heartwarming memories you carry with you after they have returned to spirit. Accumulating clinical evidence supports the use of PEMF therapy in both animals and humans for specific clinical indications including bone healing, wound healing, osteoarthritis and inflammation, and treatment of post-operative pain and edema, and it is increasingly being prescribed by veterinarians. 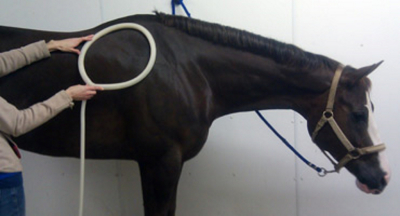 The data reviewed fully supports the usefulness of PEMF treatment as a safe, non-invasive treatment modality that has the potential to become an important stand-alone or adjunctive treatment modality in veterinary care.​ Please see section above to download clinical studies in the veternary module. Energy work offers tremendous benefits to all animals. Just as meditation and prayer helps humans to cope with all that the universe offers, so too do animals benefit from the wonders of energy. Through exercises with your pet, we help them to maintain a connection with their inner spirit and purpose. Additional benefits of energy work with your pet is a new bond and communication that you will realize was not previously being tapped.